Colombian reggaeton starJ. Balvin is now the most streamed artist in the world on Spotify, the company announced. The 33-year-old has toppled Drake in that position. Balvin has accrued over 48 million monthly listeners following the success of his fifth album Vibras. The album yielded the hit X featuring Nicky Jam, which has been streamed over 327 million times, and Mi Gent which became the first Latin song to top the Spotify’s Global 50 Chart. Balvin issued a statement: “All I can say is thank you, thank you. “I’m so grateful and proud to be the most-heard artist in the world on Spotify. “It’s bigger than J. Balvin; it’s the movement and it’s in Spanish. “We are proving that Latinos have the power to connect with an audience on a global level without having to leave our identity behind. “This is an achievement for the entire Latino community. According to Spotify, Latin music listening increased by 110% in 2017. 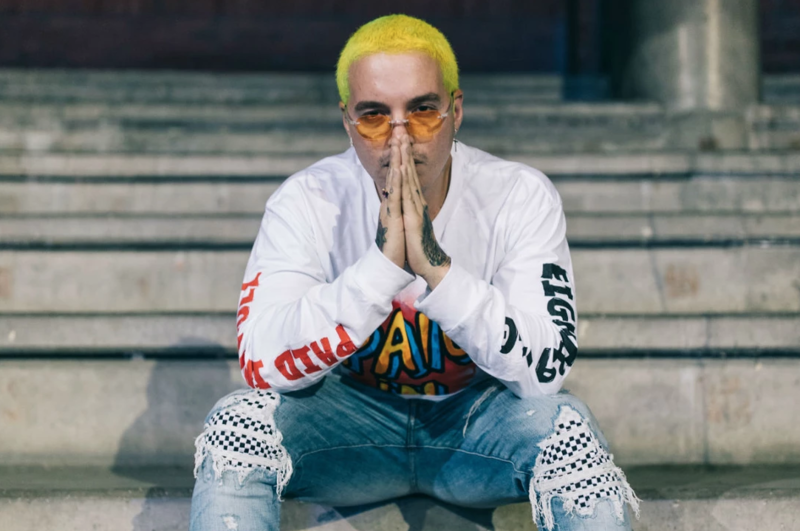 Born Jose Alvaro Osorio Balvin, he made his mark basing his sound on the first wave of reggaeton stars from Puerto Rico, but fused with additional Colombian and mainstream hip hop rhythms. He has over 50 million social media followers, and 10 billion total YouTube views. He has become one of Latin music’s most in-demand collaborators, working with Beyonce, Justin Bieber, Cardi B, Liam Payne, Nicky Jam, Pharrell Williams, Ariana Grande, Major Lazer, Poo Bear, Juanes, Daddy Yankee and Camilla Cabelo.